Want to know the best way to get online? Are you concerned about protecting your children from accessing undesirable websites? Adopting a solution that works whilst protecting your system from viruses and hacking can be a daunting procedures. We can offer advice and practical solutions that will give you the access and protection you need, whether you are a business or home user. UK's largest independent broadband news and information site. They provide independent advice and details on the services offered by Broadband Service Providers so you can make an informed decision as to who to use as your supplier. We recommend Eclipse as the best all round provider - details can be found by clicking the Eclipse link to the left. But if the information is too daunting and you want some help, we can do this for you, holding your hand through the process, whether it is upgrading to broadband for the first time or migrating from another provider. 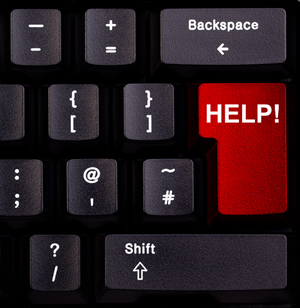 If you need help with an internet connection or email most ISP's (Internet Service Providers) such as BT Yahoo, Virgin, Eclipse, TalkTalk etc provide self help tutorials that can provide answers most questions (click here for links). If your internet is down this is of no help, therefore keep your ISP contact telephone number handy or ask us. Every internet connection requires a means of interpreting the information sent down the telephone line/cable connection. Although it is still possible to connect to the internet using a dial up connection using a 56K modem, this is becoming more and more impractical. Early internet connections to ADSL (Asynchronous Digital Subscriber Line) commonly known as broadband used USB devices such as the Speedtouch 330 or the Voyager 100. These were generally reliable devices but problematic in a major way - once connected, your PC joins the internet and becomes visible to prying hackers. If you do have a USB ADSL then it is strongly recommended that you have a good Internet Security package (not just Anti-virus) such as Kaspersky Internet Security. ADSL routers such as the Draytek Vigor 2860n offer a simple and effective way of not only maintaining a permanent internet connection but also separating your PC/Network from the outside world by the use of NAT (Network Address Translation) and SPI (Stateful Packet Inspection). The NAT has two parts - public and private. The public connection (IP address) connects your PC to the Service Provider (ISP). PC's/Laptops connected to the Draytek get given a local IP address (private) which is hidden from the internet. Traffic is passed through SPI and then the NAT forwards the traffic to the local IP address of the computer attached which requested the information. Apart from the security aspect of using a router, it also has some practical advantages; No software required to run (just connect a network patch lead from your PC to one of the ports or use wireless). Instant connection (no need to connect each time you want your email or browse the web). Protect your child from undesirable websites. Many parents are concerned about what their children are exposed to when they access the Internet, but with some common sense tips and advice your whole family can be fully protected whilst they enjoy their online experience. Parental protection software is included in a number of Internet Security packages but in order for these to work, the guardian must need to know how to configure the settings and to monitor/understand the results. We can help with this. Parental protection software is a great safety net whilst browsing, not only for children but also for adults. Consider this scenario - your daughter is researching the nursing profession and types 'nurse' into Google. About 95,000,000 results will show, including links to some sites nothing to do with nursing! Some of these sites will deliberately disguise the link details luring the user to the site. This is where Parental Software helps by comparing the link to pre-loaded database of threat sites split into protection categories, as soon a website is clicked on that is on the list, the link will be blocked. 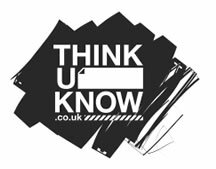 www.thinkuknow.com - 'Think u know' is a great website giving advice on sensible and safe browsing to both children and guardians. Also have a look at the Family online safety Institute (ICRA) provides details on filtering tools (below).